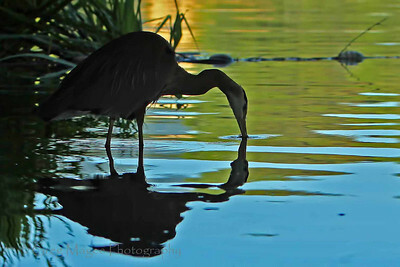 Water trail Near dawn at El Estero Lake. 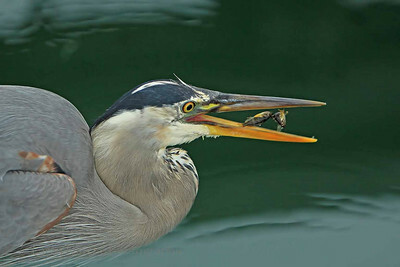 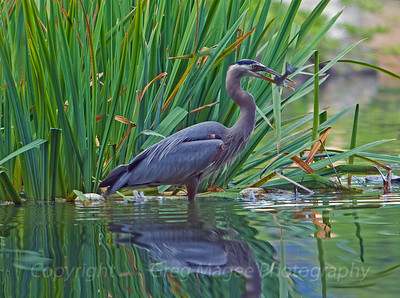 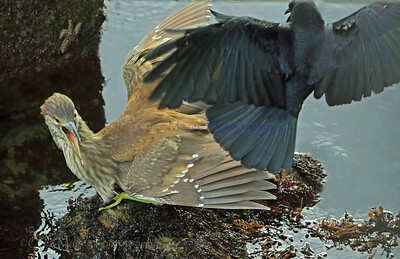 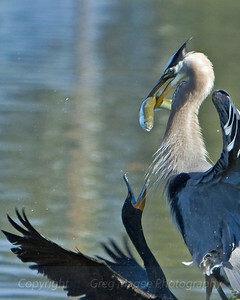 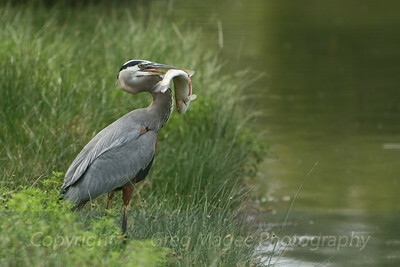 This great blue heron and cormorant battled over a trout for a couple of minutes, and just after this photo was taken, the cormorant grabbed the trout with its hooked bill, pulled it off the straight bill of the heron, and swam away under water with the fish. 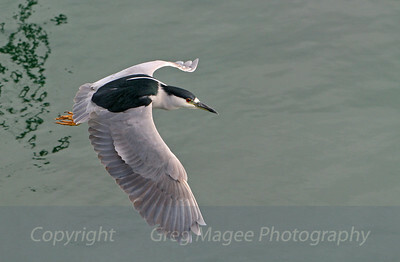 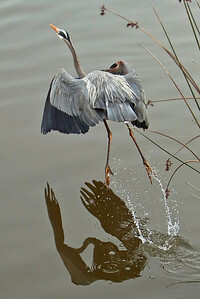 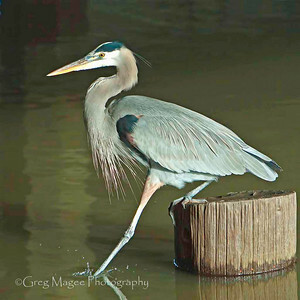 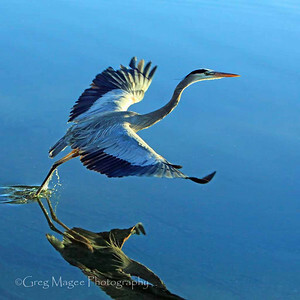 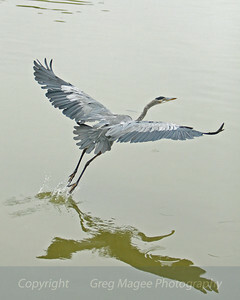 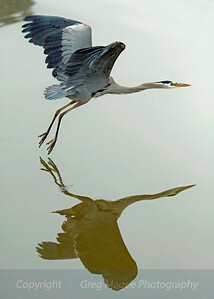 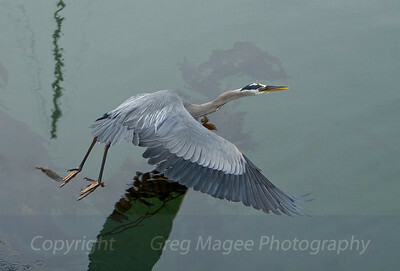 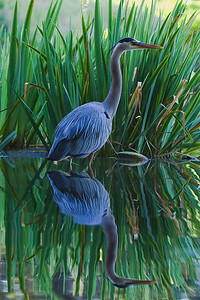 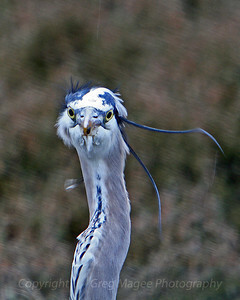 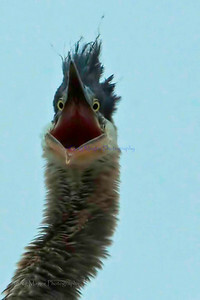 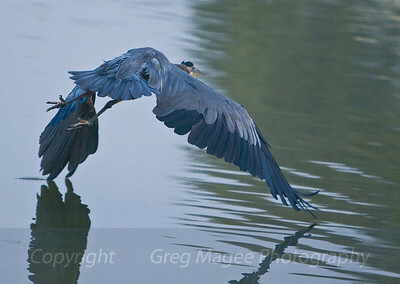 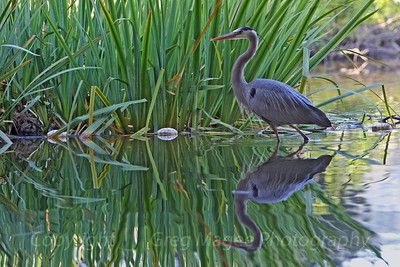 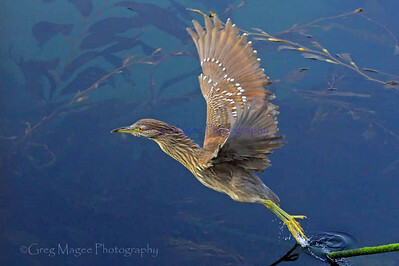 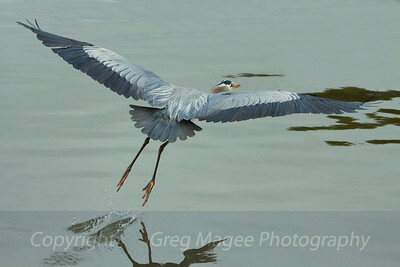 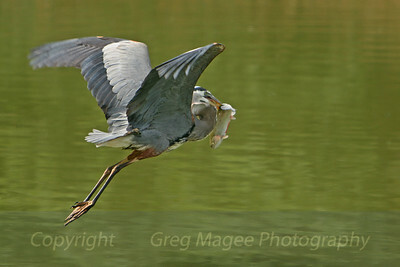 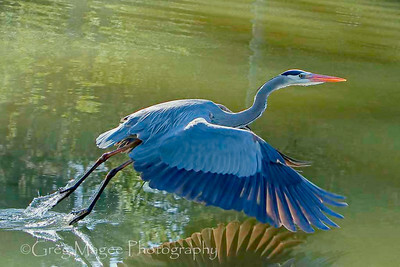 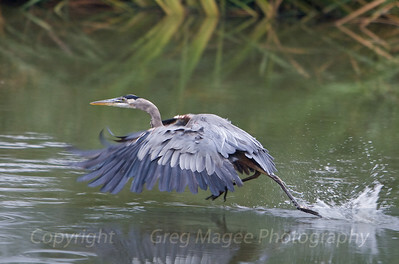 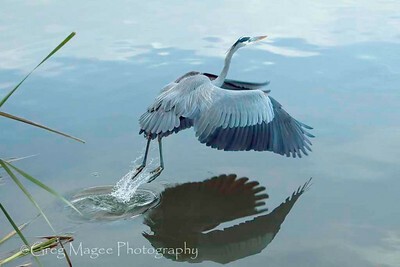 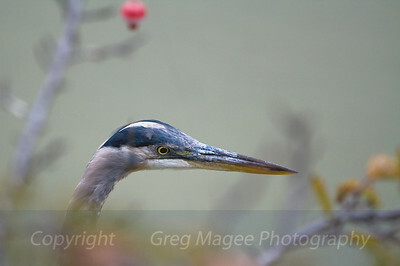 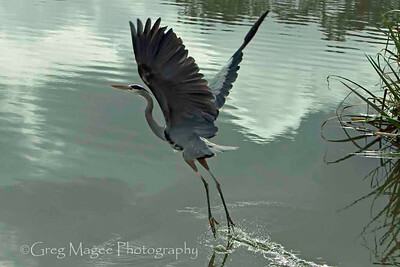 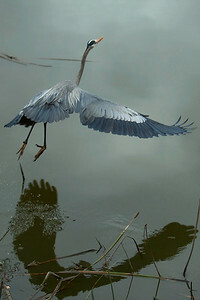 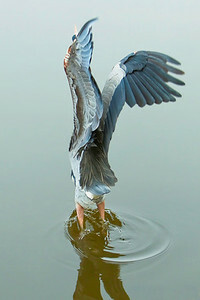 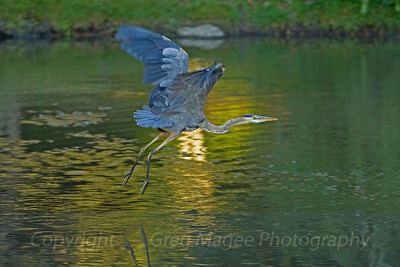 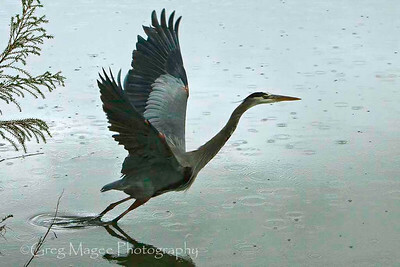 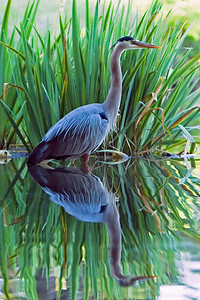 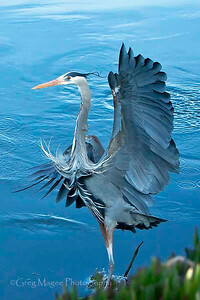 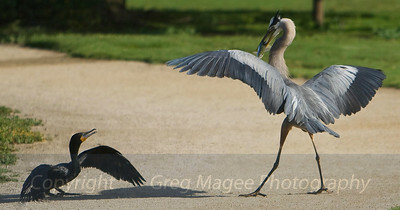 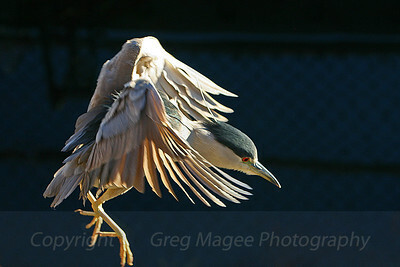 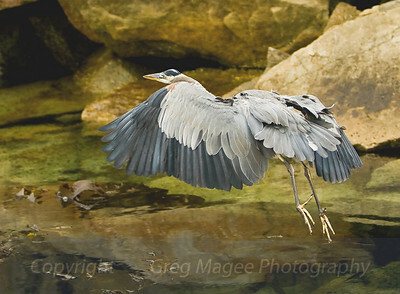 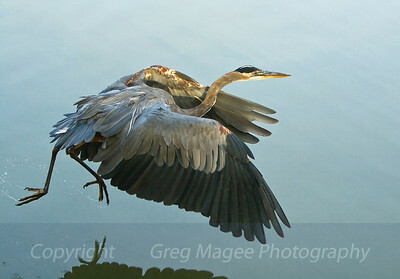 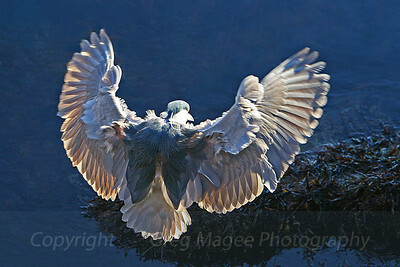 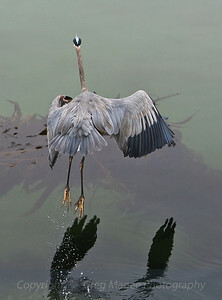 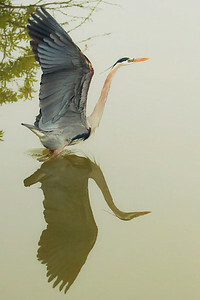 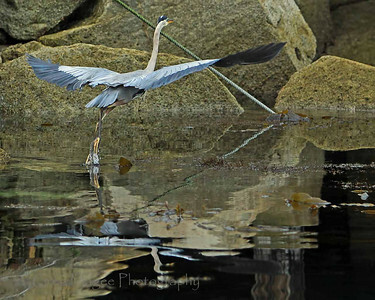 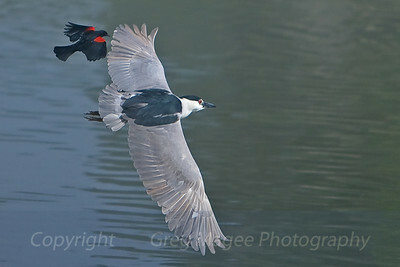 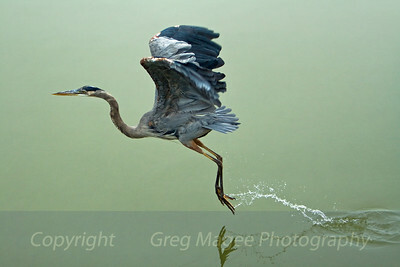 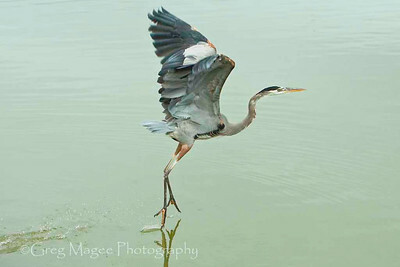 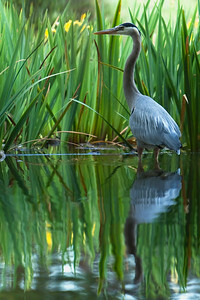 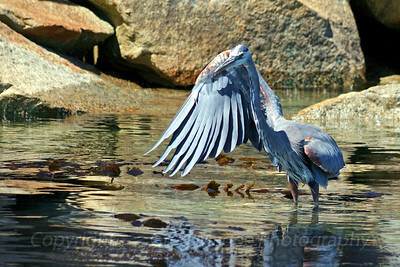 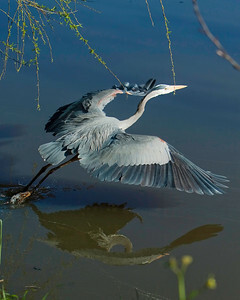 This is another look at the great blue running across a shallow pond.